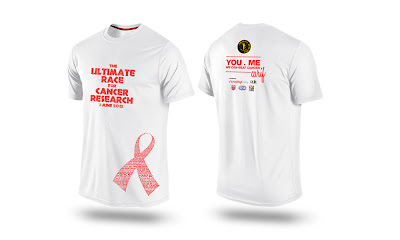 A friend in Malaysia is raising fund for Cancer Research. Frank Chong, a former cancer patient will be taking part in the Comrades Marathon in South Africa. Frank will be only one of 2 Malaysian participating in the 90km gruelling Comrades Marathon. All 100% of the funds raised from donation and sale of t-shirt will be channelled towards the Cancer Research Initiatives Foundation. If readers are interested in helping a good cause, why not consider putting in a small donation or buying one of the nice t-shirt.